PRAIZHOUSE: EFE NATHAN RELEASES NEW SINGLE TITLED 'NOBODY LIKE YOU', AND SIGNS TO HONESTY MUSIC. EFE NATHAN RELEASES NEW SINGLE TITLED 'NOBODY LIKE YOU', AND SIGNS TO HONESTY MUSIC. 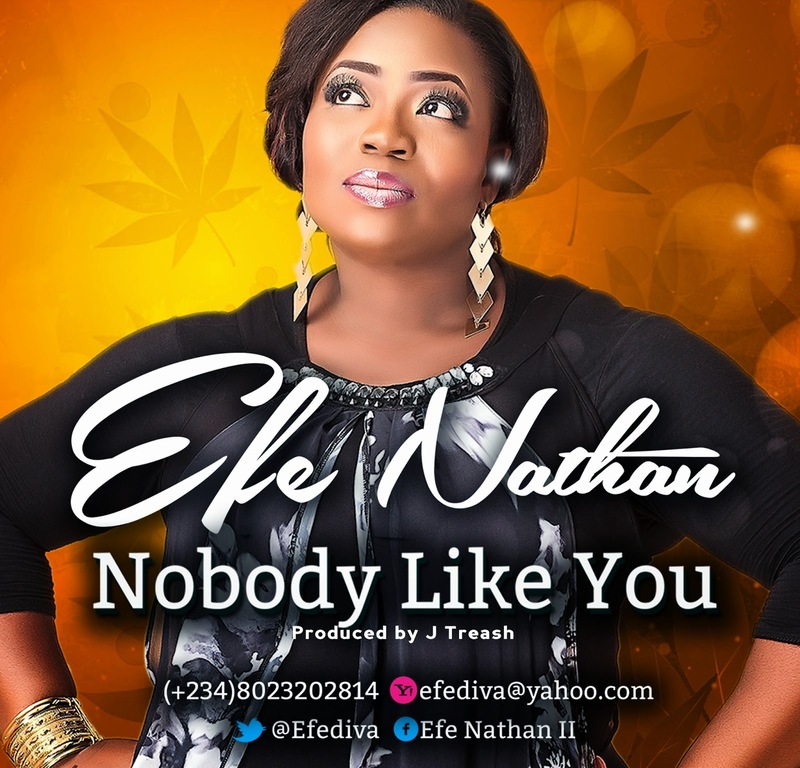 Efe Nathan releases her brand new single titled 'Nobody Like You', the first from her forthcoming album scheduled for July 2014. Efe emphasises the importance of the content or lyrics of the songs by keeping the music production simple, and time enough to carry her message. "The song was born out of a place of pain, betrayal, and conflict, but I resolved to keep my eyes on God". Efe further said that she has a victory to celebrate, because the plans of the enemy did not work over her life, and she could have chosen to commit suicide over all the false accusations, but for God. "I sow this song into your life, to lift you up, to empower you, to deliver you, and to guarantee you that the war was already won before your trials began, and that you will overcome, in Jesus name. If God did it for me, trust me, HE can do it for you. My trials have only lead to my promotion" - Efe Nathan. Efe Nathan is now signed to the very successful distribution and marketing company, HONESTY MUSIC, owned by Mr Tony Umeh. His company also distributes works nationwide for artistes such as Frank Edwards, Eben, Nathaniel Bassey, to mention a few.